The large 7-seater H9 is powered by a 180 kW 2.0 Litre petrol turbo also found in the H6C. 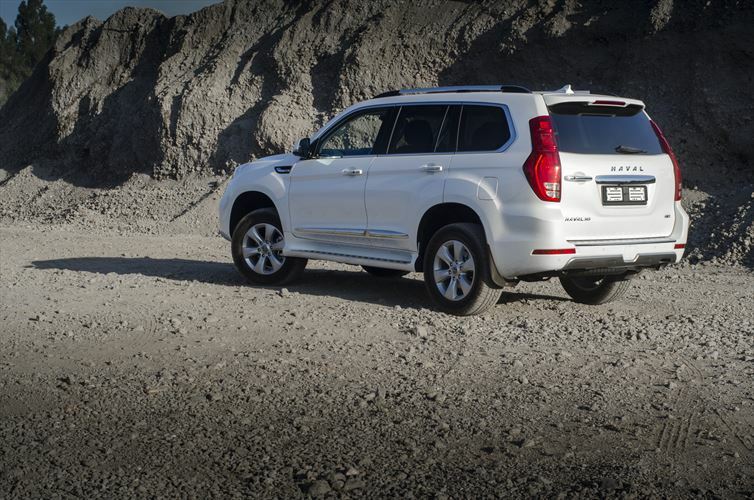 The big new seven-seater H9 drew high praise from judges in Australia’s coveted 4×4 awards in 2017, calling it ‘a machine rugged enough to survive the Australian outback’. 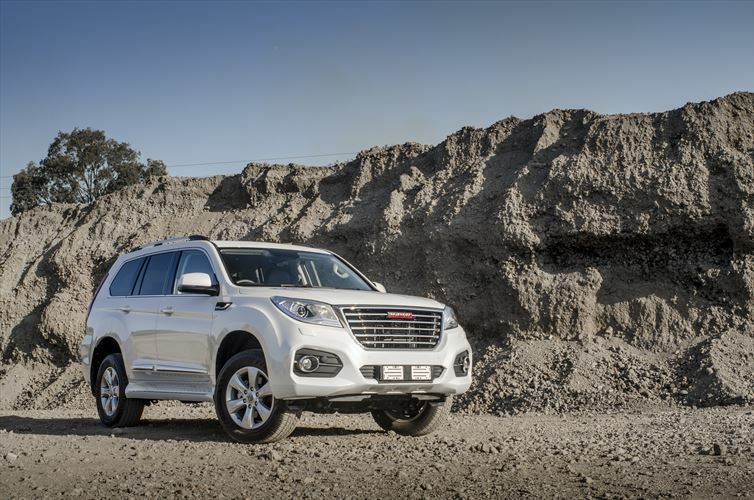 Haval, the professional SUV division of GWM, is breaking new ground with the introduction of its first four-wheel drive model on local shores. 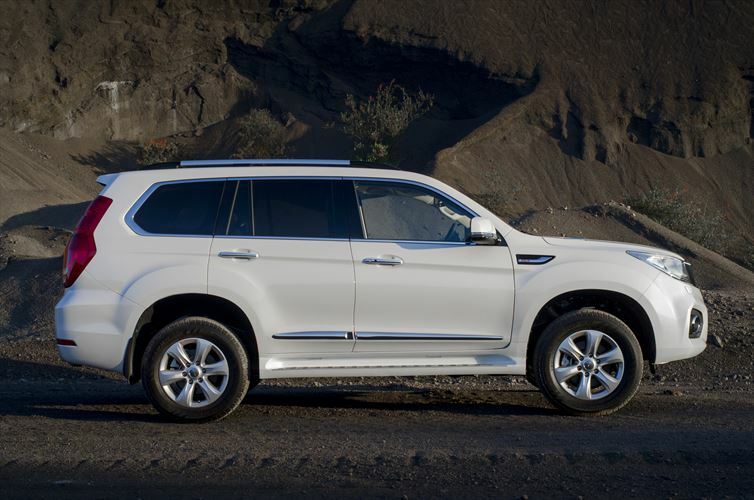 Joining the South African range of its two-wheel drive small SUV derivatives, the 1.5-litre H1, H2 and H6, the large 7-seater H9 is powered by a 180 kW 2.0 Litre petrol turbo also found in the H6C. 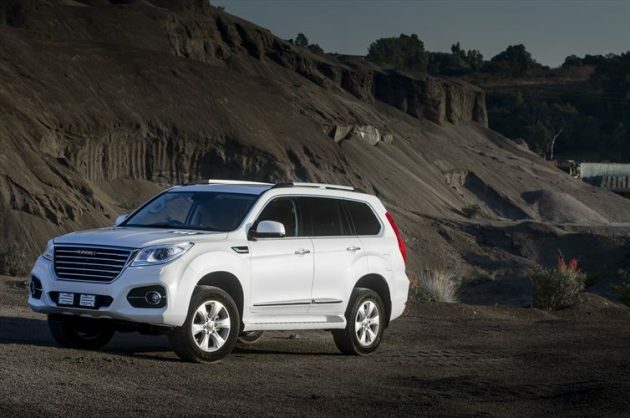 Haval is making huge strides on the South African family SUV market after the brand’s local introduction just over a year ago. “Our objective is to have 35 Haval dealers across the country by the end of this year,” says Zhao. “The arrival of our long awaited H9 is the latest addition to our powerful SUV range and will certainly assist us in expanding into the local market. The big new seven-seater H9 has outperformed some much more expensive rivals in other right-hand drive markets, and drew high praise from judges in Australia’s coveted 4×4 awards in 2017, calling it “a machine rugged enough to survive the Australian outback”. Engine: The H9 is powered by the 180 kW version of the brand’s own award-winning 2.0-litre petrol engine with double-channel turbo charging. The exhaust gas flow is transferred to the turbine via two channels, boosting engine power and torque delivery as well as improving fuel economy. The four-cylinder power plant has direct fuel injection which is accurately controlled by the electronic control unit, increasing the mixing efficiency of fuel and air, which improves combustion and reduces consumption. The engine delivers its maximum power output at 5 500 rpm, with maximum torque of 350 Nm at 1 800 rpm all the way up to 4 500 rpm, which allows superior pull-away and acceleration performance. The 2.0-litre petrol turbo offers an outstanding 90 kW of power per litre, achieving peak performance in all driving conditions with little input. The H9 fuel tank holds 80 litres of petrol. Transmission: Although the engine is an in-house development, Haval reached out to German engineering for the H9’s ZF 8-speed 4WD transmission. The transmission boasts Paddle Shift for precision off-road driving, allowing the H9 to tackle the toughest terrain with comfort and elegance. The driver can select the most appropriate real-time road mode from 6 options (AUTO, 4L, Sport, Sand, Snow, and Mud) via the multi-functional display knob on the secondary instrument panel so that the system can automatically control the driving and braking force to achieve the best performances. AUTO mode: Optimises distribution of torque to all wheels for easy driving on tar and dirt roads. Sport mode: Drivers preferring more control for spirited driving along twisty mountain passes or challenging country roads have the choice of sportier gear changes. In sport mode, the Electronic Stability Programme (ESP) reduces system interference and improves the driving experience. 4L mode: For off-road driving, including extreme conditions, this setting amplifies torque delivery to the wheel(s) with the best grip, maximising performance to escape from sticky conditions. Mud mode: Yet again this setting allows adjustment of the ESP to improve road holding on muddy surfaces, allowing a certain amount of slip. Sand mode: The transmission’s electronic stability control is adapted to maximise torque to the driving wheels with the most grip to help prevent the vehicle from getting bogged down. Snow (wet) mode: In wet weather, the ESP is controlled to improve road holding by avoiding over- and under-steer to assist driving stability. Rear Axle Electronic Limited Slip Differential Lock: The rear axle offers a limited slip differential where the driving force of the wheel at the traction loss side is distributed to the wheel at the other side via the electro hydraulic control unit, which maximises the vehicle’s ability to utilise traction effectively, greatly improving the vehicle’s driving stability and enhanced ability to get out of difficult conditions in complex on- and off-road conditions. The engine, transmission, suspension, and body are installed on a high rigidity frame. The suspension provides great stability and comfort and ensures excellent safety and on- and off-road performance while maintaining stability. The multi-link rear suspension and independent double-wishbone front suspension ensure that the wheels remain in contact with the road and deliver a smoother ride. 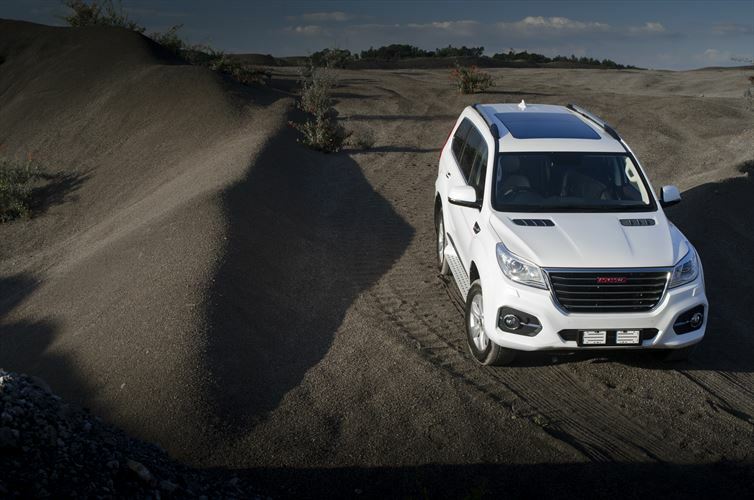 The Haval H9 has a body-on-frame design with a high-strength frame for outstanding rigidity in strenuous conditions. Under the skin, side-impact collision bars, front and back crumple zones and an energy-absorbing steering column protect the occupants in the event of a collision. Active safety features include all-round “all-directional” airbags, seat belt pre-tensioners, ISO-FIX child seat anchors, a tyre pressure monitoring system (TPMS) and driver status detection system, all guaranteeing the safety for the vehicle occupants. Electronic driver aids include ABS, BA (brake assist) and ESP, HAC (Hill-start Assist Control), RMI (Roll Movement Intervention) and HAC (Hill-start Assist Control) as well as CTA (Cross-traffic alert) and LCA (Lane-change Alert). 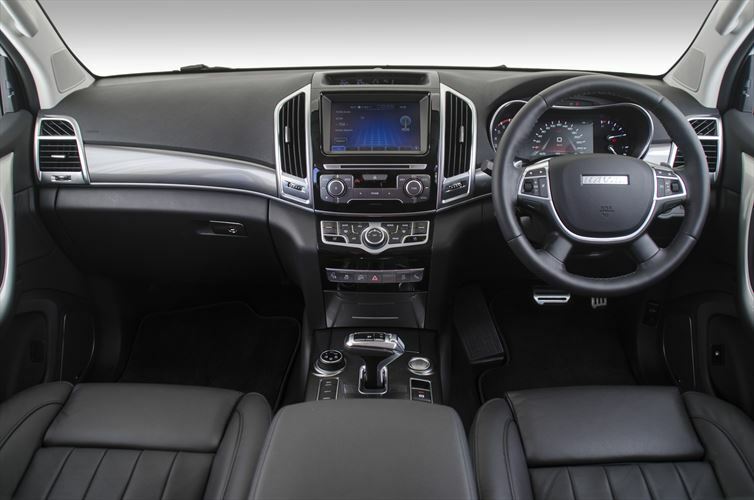 Interior: The H9 is a fully-specked vehicle in every way, boasting practical, comfort and luxury equipment throughout. From the leather seats in three rows, including an 8-way electrically adjustable driver seat with lumbar support and memory function and 4-way electrically adjustable front passenger seat with ventilation and massage, manually adjustable second row of three seats and the electrically foldable twin seats in the third row, to a long list of features including three-zone climate control air-conditioning, an advanced multi-media system with an 8” touchscreen and integrated satellite navigation, the H9 is, well, fully equipped. The large and comfortable interior space offers a comfortable driving experience. The considerable storage space design meets the everyday needs from the business executive to the playful adventurer. Luxurious materials, open and dynamic seat spaces, and detail design, provide a comfortable driving experience. Ambient mood lighting: Three ambient light variations, located at the bottom of the instrument panel as well as the door trim panels, create a relaxed colour-enhanced atmosphere. 7” LCD touch screen: The seven-inch LCD integrates perfectly with the analogue instruments. The background on the display has three colour changing modes that ties in with the drive terrain modes, enhancing the visual senses and allowing driver/occupants and machine to feel “connected”. Considerable storage space is found throughout the cabin. Door pocket covers, cup holders front and back, central container and glasses box, a lockable glove box and rear armrest container (with cup holder)as well as front row seatback storage bags, and third row cup holders offer a host of nooks and crannies for storage of small items. The second row of seats have a 60/40 split while the twin seats in the third row can be divided 50/50 and folded into the floor to increase luggage space. With the rear seats folded down, the H7 boasts a luggage volume of 747 litres under the removable trunk cover. Automatic headlights with built-in cleaning system, DRL (day-time running lights), fog lights front and rear and even side-step illumination, the new H9 won’t keep anyone in the dark. The H9 boasts AFS (Adaptive Front-lighting System) which meets all illumination needs, including focusing the headlights around bends to improve safety. Blind spot detection and line combination assist (LCA): Real-time detection is performed for the left and right blind spots of the vehicle via the radar detector. In the event of danger when changing lanes, the alarm light inside the door will give a warning. When a vehicle is rapidly approaching from the adjacent lane, the radar detector will monitor the adjacent lanes up to 70 m behind the vehicle in real time, and buzz an alarm. Reverse side warning (CTA): The radar sensor also detects moving vehicles in the rear of the vehicle when reversing. In the event of a vehicle approaching, the alarm light inside the door on the side of the oncoming vehicle and an audible alarm will warn the driver. Other exterior features include a panoramic sunroof, shark-fin antenna, roof rails, side steps and stylish 18” aluminium alloy wheels. The H9 has a 5-year/100 000km warranty, a 5-year/60 000km service plan, and 5-year/unlimited km roadside assistance.